Want to transform thousands of lives and yours? Want to help build a stronger education ecosystem by driving change for a group of students and their community? Want to join a global movement to eliminate education inequity? Update our upcoming events in March and April and save your slot now! 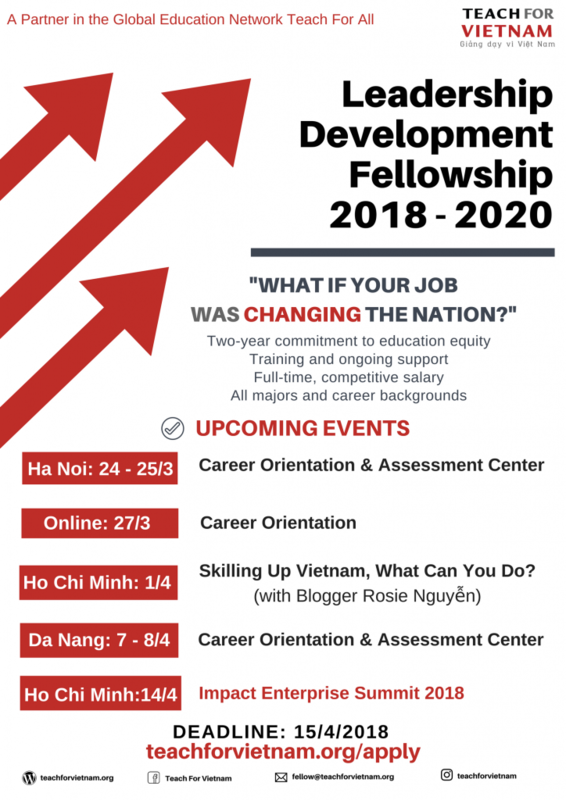 A conversation between Teach For Vietnam & Blogger/ Book Author Rosie Nguyễn on efforts needed to reach the skill gap in Việt Nam, including rewarding for #SkillingUpVietnam Challenge and Fellowship discussion. Save the date and bring home some book-signed gifts.